DUBLIN, Jan. 16, 2019 /PRNewswire/ -- Alkermes plc (Nasdaq: ALKS) today announced the recipients of the ALKERMES PATHWAYS RESEARCH AWARDSSM program, designed to support the next generation of researchers working on the front lines to advance understanding and awareness of central nervous system (CNS) disorders. In its inaugural year, the Pathways program will provide an aggregate of $400,000 in grants to junior investigators who have demonstrated their commitment to helping those living with substance use disorders (SUD), including those associated with the use of opioids and alcohol. "An estimated one-in-seven people in the U.S. will develop a substance use disorder in their lifetime1, which is why we urgently need to accelerate research efforts focused on improving prevention, treatment and awareness of this public health crisis," said Craig Hopkinson, M.D., Chief Medical Officer and Senior Vice President of Medicines Development and Medical Affairs at Alkermes. "By supporting promising researchers in this field, we aim to propel innovative ideas forward, and ultimately make a positive impact on those living with central nervous system disorders." The annual Pathways program provides funding for up to four research projects with grant amounts of up to $100,000 per project. 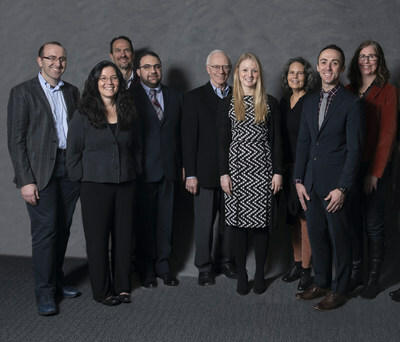 The four inaugural recipients were recognized at an awards ceremony on Jan. 14, 2019 for their outstanding work and creative ideas to advance research and help support those living with CNS disorders. "Brain diseases are complicated, and we often don't fully understand the cause or how treatments work," said grant recipient Sarah L. Withey, Ph.D., Harvard Medical School, McLean Hospital. "Given the devastating and widespread effects of the opioid epidemic, I am more inspired than ever to help discover sustainable and scalable solutions that may make a meaningful difference for not only the millions of people who are battling addiction, but also their families, friends and entire communities." To qualify, junior investigators must be M.D.s, Ph.D.s, or equivalent, within five years of initial academic appointment or current post-doctoral fellows, and affiliated with a medical or research institution within the U.S. Applicants are evaluated by an independent review committee comprised of specialists in psychiatry, neurobiology, pharmacology and behavioral science from academic research centers focused on SUDs. "It was a privilege to serve on the Pathways program review committee and have a direct line of sight into the great work being proposed to help combat substance use disorders," said Sandra Comer, Ph.D., Professor of Neurobiology, Columbia University Medical Center and the New York State Psychiatric Institute; and Pathways program review committee chair. "After reviewing a number of impressive applications, which included preclinical and clinical studies, we are pleased to recognize this year's recipients and support their quest to address one of the most pressing health issues of our time." For more information on the Pathways program, including 2019 program information, visit www.PathwaysResearchAwards.com. Certain statements set forth in this press release constitute "forward-looking statements" within the meaning of the Private Securities Litigation Reform Act of 1995, as amended, including, but not limited to, statements concerning the expected timing, operation and/or potential impact of the ALKERMES PATHWAYS RESEARCH AWARDSSM program, the funding provided by the program and the research supported by such funding. The company cautions that forward-looking statements are inherently uncertain. Although the company believes that such statements are based on reasonable assumptions within the bounds of its knowledge of its business and operations, the forward-looking statements are neither promises nor guarantees and they are necessarily subject to a high degree of uncertainty and risk. Actual performance and results may differ materially from those expressed or implied in the forward-looking statements due to various risks, assumptions and uncertainties. These risks, assumptions and uncertainties include, among others, changes in funding, timing or parameters of the ALKERMES PATHWAYS RESEARCH AWARDSSM program, the nature of any findings or results arising from the research supported by the program and those risks, assumptions and uncertainties described under the heading "Risk Factors" in the company's Annual Report on Form 10-K for the year ended Dec. 31, 2017 and in subsequent filings made by the company with the U.S. Securities and Exchange Commission (SEC), which are available on the SEC's website at www.sec.gov. Existing and prospective investors are cautioned not to place undue reliance on these forward-looking statements, which speak only as of the date hereof. Except as required by law, the company disclaims any intention or responsibility for updating or revising any forward-looking statements contained in this press release. 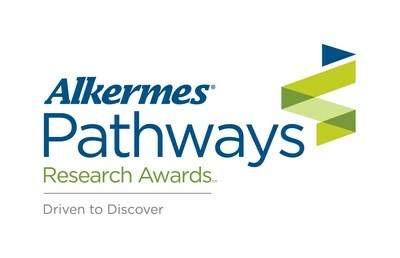 ALKERMES PATHWAYS RESEARCH AWARDSSM is a service mark of Alkermes, Inc.